Every passionate home cook knows that nothing can beat the taste and aroma of just picked home-grown herbs. And let’s face it, who doesn’t like to look like a professional chef from a cooking show. Move over, Jamie Oliver. But what happens with your cooking endeavors when winter decides to settle in? You probably go back to those boring and plain store-bought spice packets, right? Will let you on a little secret: Growing herbs in the winter is possible and ridiculously easy. 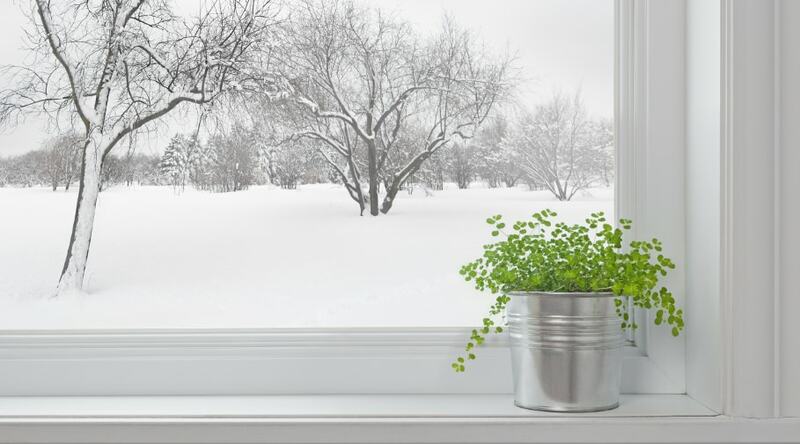 In this article, we are going to cover all the basics of growing winter herbs. You’ll learn about the types of plants you can seed during the cold months, the difference between fully-grown herbs and microgreens, and how to delay the dormancy process. 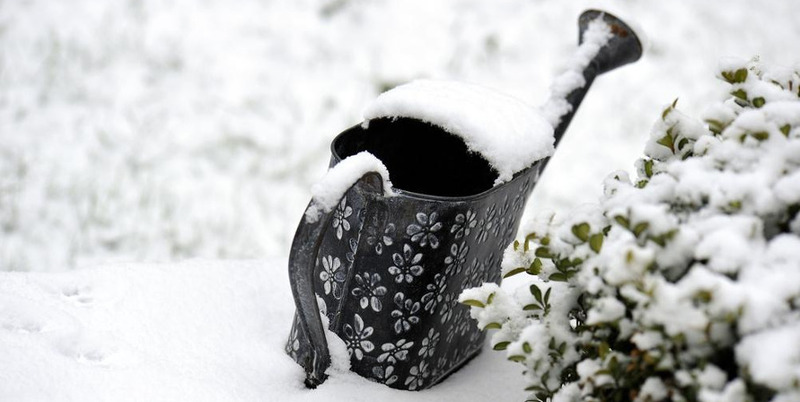 Winter may be coming (no pun intended) but your plants don’t have to leave. You can’t have a tasty Christmas stuffing without a dash of thyme. The herb grows best under a lot of suns and with a well-drained soil. Make sure to trim the shrub regularly for good leaf production. Harvest systematically. Ah, sage. It’s amazing flavour, slightly peppery aftertaste, and savouriness has won it the title of one of Britain’s most grown herbs. The shrub itself is low-growing and evergreen, which means that you get to pick it all year round. Does best in well-drained and sunny areas. The perfect companion to your lamb or chicken dish, the rosemary plants strives in well-drained soil, with the pot placed in a sunny area in your home. The winter herb is drought tolerant and pest resistant. Every self-respectable cook has to have parsley in their kitchen. The plant has universal qualities when it comes to cooking, but is a bit on the capricious side in terms of care. The herb tolerates a partially shady environment. Place it on a sunny spot in your kitchen for best growth results. Give it plenty of water. If you like Italian cuisine, you know that oregano plays the main spice role in most dishes. You can’t make decent pasta sauce without it! The herb doesn’t need much care. It likes long sunbathes, soil that is a bit on the dryer side and regular haircuts. Fertilize it with a diluted water-soluble food every two weeks. There is nothing that says better “Christmas is here!” than the smell of freshly picked mint. The plant doesn’t require much. Keep its soil moist and fertilize and let it sit in a sunnier area. Mint can practically grown in any environment and isn’t scared of frost. Tarragon is an aromatic herb with a sweet anise scent and liquorice flavour that is mainly used in French styled dishes. Plant in fertile soil, keep it warm and under a good amount of sunlight. A key element in Mediterranean cuisine, basil is a picky herb. It doesn’t do well in a cold environment, so you have to keep it inside in the winter. For best growth results you need to fertilize the plant regularly. Make sure the plants receive as much warmth and light as possible. Now that you’ve learned about the types of herbs to grow in winter, we can continue with the actual way to plant them. Microgreens are baby leaves that are harvested from herbs that have grown only a few centimeters. You may be asking yourself “Why don’t I just leave the plant to grow full-size? “. The reason is the lack of sun during the winter months. When the light levels drop, the plant’s development gets very slow or just stops. Yes, it does sound a bit wasteful, but you won’t believe how much aroma and flavour microgreens can contain. A container of some sort to use as a pot. It can be anything from a recycled yogurt cup to a plastic tray. To plant your microgreens first sow the seeds and spread them across the surface of your pot. Keep them around 1 cm apart from one another. Water them generously and cover the container with a plastic bag. You’ll see the first signs of growth about one week after you’ve planted the seeds. Once the herb becomes roughly 1 cm tall, remove the cover and gently brush the leaves with the palm of your hand. This process will make them grow stronger. When the baby leaves become around 5 cm you can cut and use them. That’s it! You’ve just accomplished growing herbs indoors in the winter. There are a few methods that you can try in order to stop your loved herbs from going into dormant mode. If your plants are located in the garden, the best solution is to cover them with cloches or a cold frame. This way they can stay warm for at least a few more weeks until it really gets cold. Of course, your easiest option is to bring in all of your greenies that are planted in pots, however, you can’t bring your whole garden indoors. If you have a greenhouse (lucky you), store all of you larger shrubs, like rosemary, there. If you possess more capricious specimens you can give them an extra layer of protection against the chilly weather by bubble-wrapping them. Remember to cover the top of the plant with a couple of garden fleece layers. See, winter gardening and growing herbs during the cold months aren’t as hard as you probably thought! Just make sure to pick the right type of seeds and arm yourself with a bit of patience. Before you know it your kitchen will be filled with the breathtaking aromas of your favourite spices once again!